A Beautiful Thing and Priceless Experience! 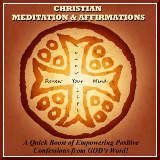 Surprise Blessings: You Gotta Lov’m! Early this month, I had a stretch of being a full-time nanny for a little over a week. It was for a really great family I’d also worked part-time for last school year – and they asked me if I could help them out some again. 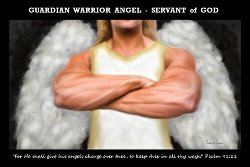 The dad is an author of several books and in full-time ministry. So he had some speaking engagements that was going to take him out of town. All their children are extremely talented and gifted. It’s always fun to spend time with them just to have some of their energy and creativity wash off on me. Well the youngest, is a 2yr old little girl who was born with spina bifida. A little more background…last school year when I was there the little girl had a cast on almost the whole time. It went from her chest down to her toes! So obviously she was very limited in her activity and unable to get around and play. I would think having a little more than half your body in a cast might dampen your spirit? It would mine! But No: Not this little girl! She always had the sweetest smile and the ability to light up a room. but every time I would go to their house, and see this little girl in her cast, and she’d still have the sweetest smile and happiest spirit…I would have to instantly reconsider what I was allowing myself to stress over and be unhappy over. She now has most the surgeries complete on her hips, legs and knees. So no more cast. She has freedom to get around and it is amazing how well she does! She has leg braces to help her while she’s learning to walk. The other thing she is learning to do is talk. She would say “ma” & “da” along with a number of other sounds and jabbering, but not really on demand words yet. Well – I was blessed to have her start saying some words on demand while I was with her this month! Anyway, the one day I was trying to get her to say “up” it sounded like she did. And then later in the day I was almost positive she started to say another word. The next morning when getting her out of the crib I asked her to say “up” and this time she for sure did! And later she put her finger to her mouth and said “li” for light when she wanted to flip the light switch. It was just the Most Beautiful, Precious thing! And I can’t say for sure why she was laughing so hard, but I really think it was from a new level of understanding of the power she had to be able to speak and control what she was saying. I wish I could describe the situation better, but it was one of those “you had to be there” times. I’ll never forget it – I feel privileged to have been there that week and it was such a beautiful experience and blessing for me! Thanks for letting me share it with you. And I thank God that He is helping this little girl grow and develop by leaps and bounds! 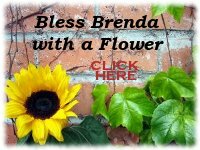 If you would pray for her also it would be appreciated, as she still has some upcoming surgeries… Thank you. P.S. You can read this family’s story of facing the reality of having a child with spina bifida and choosing life. 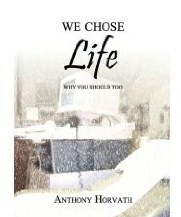 “We Chose Life: Why You Should Too” by Anthony Horvath is available now at Amazon. 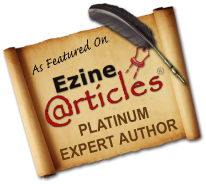 Happiness – Monitor Your Influences or Your Happy Day is in Danger of Turning Ugly!